This week has been all about the Plantar Fasciitis. Yes that niggling heel pain I was feeling turned into absolute hell! 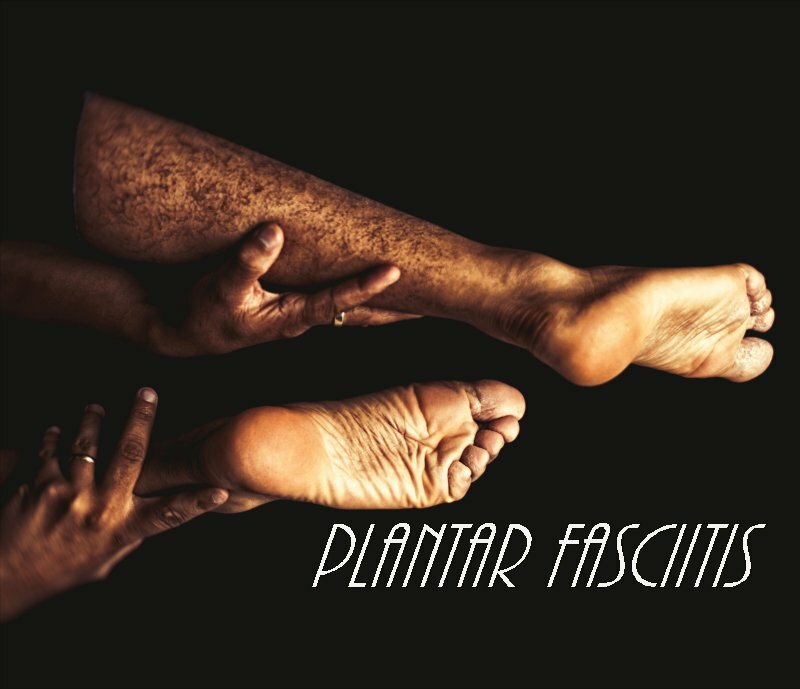 The plantar fascia ligament connects the heel bone to the toes and supports the arch of the foot. When it is strained it becomes weak, swollen and inflamed. 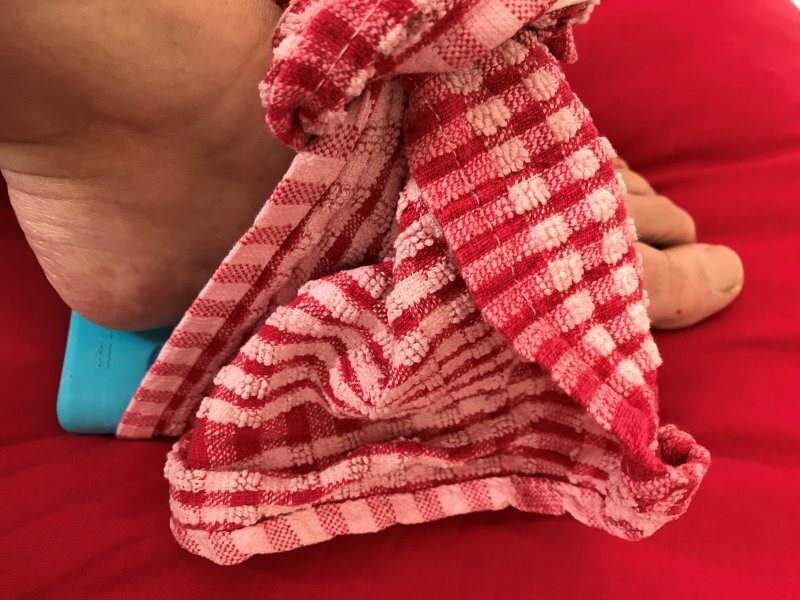 I think it is clear that my plantar fasciitis is due to running for long periods of time – basically I have overdone it and my body is rebelling! It could also be that my stretching hasn’t been good enough as it can be to do with tight Achilles tendons or calf muscles. Plantar Fasciitis is actually the most common cause of heel pain and can also be due to the feet rolling inward when walking (excessive pronation); high arches or flat feet and ill-fitting shoes – none of which should apply to myself as I have been wearing the Vionic trainers for long distances. A final reason, or one that won’t help, is the fact that I am overweight. The pain is constant and niggly and eventually (well actually relatively quickly) makes my head hurt and absolutely drains me – to the point where I am having to sleep it off. I missed running club again and even resorted to using the car on the school run (1km away) because the pain just got so bad. If I walked it I ended up just sleeping afterwards – as it zapped my energy. Hats off to people in constant pain all the time I have no idea how they do it (and am sure the pain level is much greater than mine too!). I went to the doctors and had it confirmed and he gave me some stretching exercises to do and told me to take ibuprofen (and to use the gel too). I have also been icing it and rolling a ball under my foot. I have also been massaging it (just out of natural need to but have since seen a video on this) and my husband bought me a gel sock to support my foot. The doctor thinks it highly unlikely I would be able to do the half marathon – even if I had a shot of cortisol: I told him that wasn’t happening anyway as I have a needle phobia! Due to my running he has referred me to the hospital for physio. I am looking forward to the torture that is my sports massage this week – mainly as I am hoping it will take away some of this constant pain. Hands against the wall, the affected leg at the rear and bend the front knee. The body has to be lent forwards and down until a stretch is felt in the calf of the straight leg. This should be held for 20 seconds before relaxing and repeated between 6 and 10 times. Place the affected leg slightly to the rear of the other one and bend both knees approx. 30 degrees with the heels kept on the floor. This should be held for 20 seconds before relaxing and repeated between 6 and 10 times. Stand on a step but with both heels hanging over the edge. Hold on to a support in front and the weight of the body should stretch the heels towards the floor. This should be repeated between 6 and 10 times. Whilst sitting on a chair cross the affected foot over the other knee. Stretch the ankle (pointing the toes) whilst placing a hand on top of the foot. The stretch will be felt in the shin. This should be held for 20 seconds before relaxing and repeated between 6 and 10 times. Push up on your toes. Do this 6-10 times. If needs be use something to support the rise. Sitting with the foot on the floor shorten the foot by tightening the muscles of the sole of the foot (i.e. raise the arch). Repeat for six to ten times. Stand and place the affected foot on a step in front. Weight should be slowly shifted forwards over the foot – ensuring that the heel is kept in contact with the step throughout the duration of the exercise. The stretch should be felt along the foot and up through the toes. This should be held for 20 seconds and repeated between 6 and 10 times. Saturday arrived and it was time for the Chocolate 5K. Considering how just walking a lap of Parkrun last week had hurt me my husband really didn’t think I should do it. But I knew the others wanted to go much faster than my youngest can cope with so I said I would take it easy going around with him. As it turns out he fell over twice and ended up with his arm and legs bleeding so we walked most of it. But we did get to the end – and we were by no means last either! Our teen actually came in third place too! I have been in such pain since and I know I should admit I am not going to be able to do the half marathon but I am trying not to admit defeat. I am hoping this sports massage will be a miracle cure which at least lets me walk it. But I know in my heart that my husband is right that it will do more damage than good. One of the ladies from running group is going to give me some tape and instructions on Friday though – so I haven’t written it off yet! Please consult your doctor – this is not medical advice for your situation. So sorry to read this! But it’s good that you at least have a diagnosis. I am now wondering if this is what my son suffers from as he gets heel pain and has very tight achilles. We’re bad parents and don’t take him to the doctor as it comes and goes. He rests it for a couple of days when it gets particularly bad, but kids do heal much faster than us adults! Well done to your teen for his result on the Chocolate Run and I really hope your sports massage helps you. Oh no, I’m so sorry to hear this. I think I’m inclined to agree with your husband that it is probably best not to do it. I do hope your sports massage is the miracle cure though. Well done to you all for the 5k. I’m sorry to read this 🙁 I hope that the sports massage helps, and well done for doing the 5k! I’m so sorry about your your niggling heel pain. I hope these stretching exercises for plantar fasciitis will work with you and you will get better soon.